Chester’s rows are unique in the world. Dating back to the 14th and 15th centuries, they were designed as a way of cramming as many shops, cellars and houses as possible into a very small space. 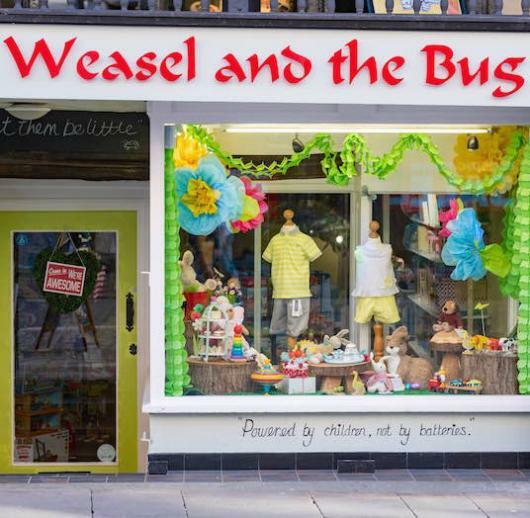 Weasel and the Bug is tucked away in what is known as “the crypt of the Rows.” This traditional toyshop sells the kind of toys that children have always loved.